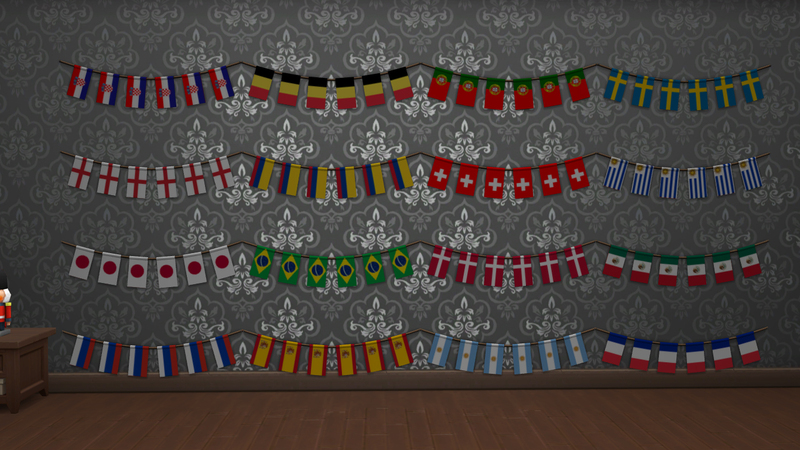 A recolor of the TS4 Seasons' decorative flags with some of the flag of the teams that made out of the Groups Phase in the 2018's World Cup. In other words, it includes the flag of Argentina, Belgium, Brazil, Colombia, Croatia, Denmark, England, France, Japan, Mexico, Portugal, Russia, Spain, Sweden, Switzerland and Uruguay. 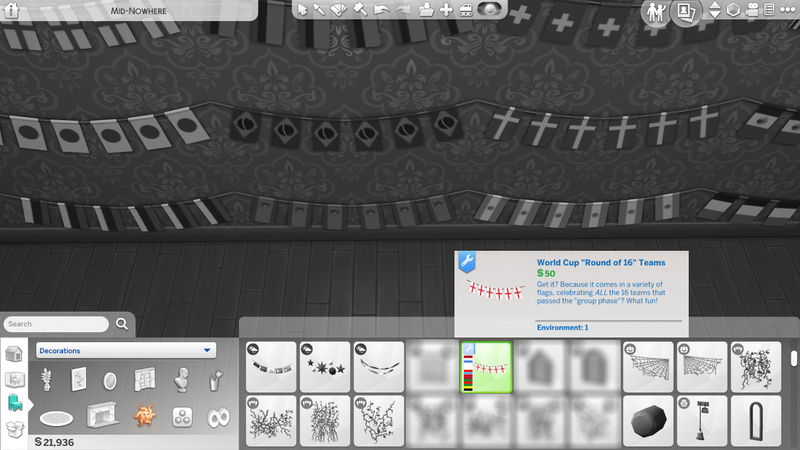 The item has the same cost as the original object, § 50, and can be found among the others wall sculptures. The The Sims 4: Seasons expansion is required!